Dr Rachel Lowe took part in the Erasmus+ programme in 2002-03 while reading Meteorology and Oceanography at the University of East Anglia. She spent a year at the University of Granada, in Spain, studying Environmental Sciences. Rachel is now an Assistant Professor and Royal Society Dorothy Hodgkin Fellow at the London School of Hygiene & Tropical Medicine as well as a visiting scholar at the Barcelona Institute for Global Health in Spain. 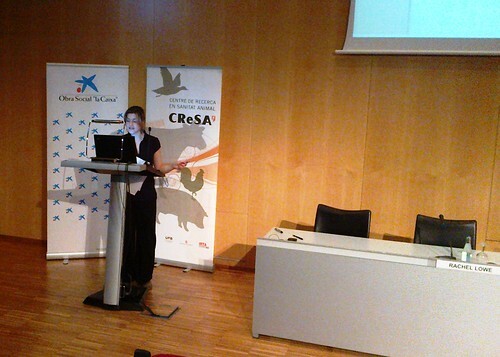 Here she talks about her Erasmus+ experience and the positive impact it has had on her career. "I always longed to speak another language so when I had the opportunity to study at the University of Granada I jumped at the chance. "Before I started, I could say little more than “hola” and “gracias”. By the end of the year I could read, write and hold a conversation in Spanish, and 16 years on, I use Spanish to communicate my research, including presenting at international conferences in Latin America and engaging with schools in Spain. "The Erasmus programme included Spanish lessons and social events, which were great ways to meet other Erasmus students from all over Europe. But meeting Spanish students and immersing myself in the local culture was more of a challenge, especially with limited language ability. "One of the best ways I found to integrate was through a language exchange partner (intercambio). My intercambio taught me many things about the local way of life and included me in her social circle. To this day we are still close friends. "I was conscious of losing my language skills after my year abroad. 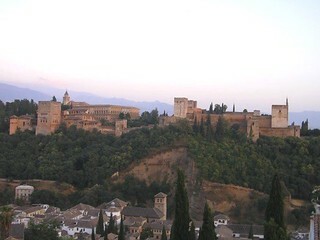 Before leaving Granada, I was fortunate to meet a student who had chosen my home university for her Erasmus exchange. Our friendship allowed me to continue the Erasmus experience back at my home university, meet other students from all over Spain and become part of the Erasmus community in Norwich. "After graduating, I spent two months volunteering at the Centre of Exchange and Research in Volcanology in Colima, Mexico. I helped monitor the active Colima volcano and attended meetings between the volcano observatory, civil protection and local politicians. I will always be grateful for my Erasmus experience in Spain, which allowed me to broaden my horizons and develop friendships and professional relationships with a wide, diverse and multi-cultural community. "This ignited my passion for disaster risk management and led me to study for an MSc in Geophysical Hazards at University College London. I then undertook a PhD at the University of Exeter on the development of a climate-based early warning system for dengue fever in Brazil. This involved long-term visits to Brazil to collaborate with climate and health scientists and stakeholders. "Based on my knowledge of Spanish, I was able to converse in Portuguese (or portuñol), which enhanced my professional relationships with Brazilian colleagues. 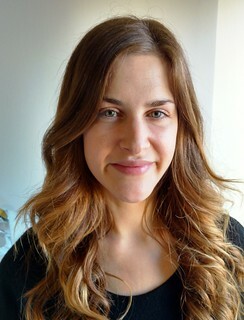 "After my PhD, I held postdoctoral positions in Italy and Spain and I am now an Assistant Professor at the London School of Hygiene & Tropical Medicine, thanks to a Royal Society Dorothy Hodgkin Fellowship. I am also a visiting scientist at the Barcelona Institute for Global Health in Spain. "I will always be grateful for my Erasmus experience in Spain, which allowed me to broaden my horizons and develop friendships and professional relationships with a wide, diverse and multi-cultural community." Were you inspired by this story? Read more of our case studies by visiting our Erasmus+ stories webpage.